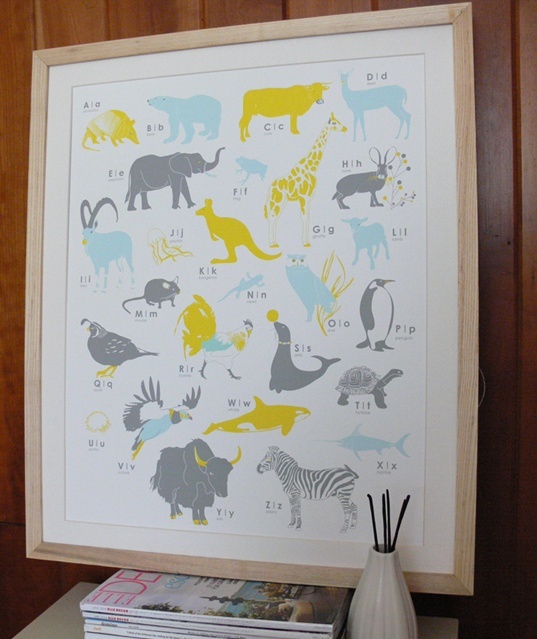 INK+WIT’s Animal Poster is charming and simple, and its lovely understated colors will match most modern children’s rooms perfectly. Printed with soy inks on 100% post consumer recycled paper, and packaged in a recycled kraft tube mailer, kids can learn about their favorite animals and about how to keep the earth green with this thoughtful decor. INK+WIT's Animal Poster is charming and simple, and its lovely understated colors will match most modern children's rooms perfectly. Printed with soy inks on 100% post consumer recycled paper, and packaged in a recycled kraft tube mailer, kids can learn about their favorite animals and about how to keep the earth green with this thoughtful decor.